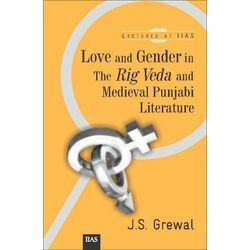 Three lectures in this volume explore the theme of love and gender in the literature created in north-western India – the Rig Veda , the Sufi poetry, and the narratives of love. A textual analysis of the Rig Veda reveals the complexity of gender relations in a society that was marked by a large degree of freedom and respect for women and the emergence of patriarchal family. More than 2000 years later, the first Sufi poet, Shaikh Farid, takes the patriarchal frame work for granted but places women at par with men in relation to God. Sultan Bahu's position is close to that of Farid. However, Shah Husain and Bullhe Shah set the patriarchal family aside and sang of love between human beings and God as the basic relationship, with radical implications for a society that regarded the ideal of personal love as a form of social deviance. The narrative of love between Mirza and Sahiban by the poet Peelu writing during the reign of Akbar underlined the tragic tension between personal love and social norms. The poets of the tale of love between Heer and Ranjha – Damodar, Muqbal, Ahmad and Waris – tend to bring love between human beings (‘ ishq-i majazi ) into paralled prominence with love for the divine (‘ishq-I haqiqi ). The resolution of tension between personal love and social norms in their works became the source of vicarious emotional experience for their listeners that resulted in catharsis. The narratives of love have remained as popular among men as the Sufi poetry.